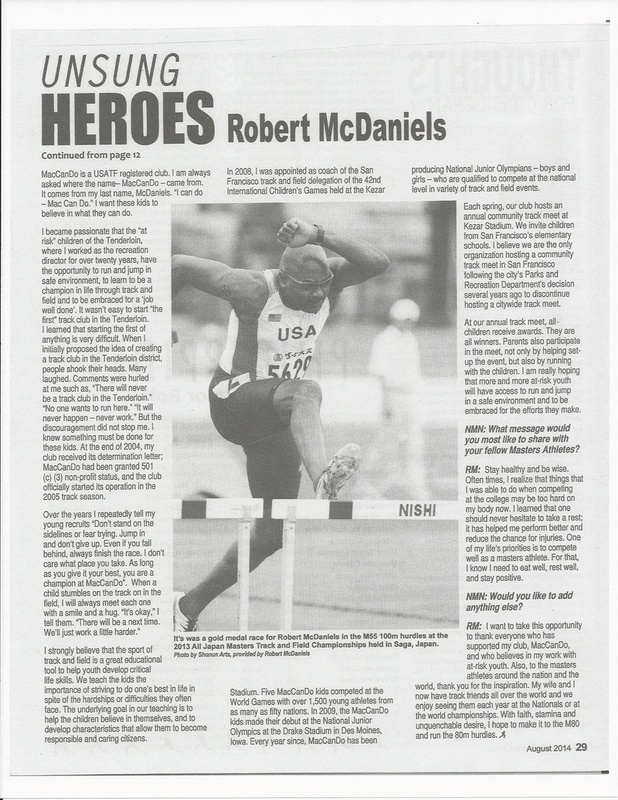 Coach McDaniels was a 2-time NCAC 110m High Hurdle Champion and received the MVP of the year at San Francisco State University Athletic Department in 1984-85. He has been working with at-risk youth for over 20 years and dedicates his career to assist youth by ‘becoming a true champion in life through track and field opportunities”. His unique coaching method and personal skills have led many MacCanDo student athletes to the national level. Click here for Coach McDaniel's ranking from USA Master's Track and Field Rankings. 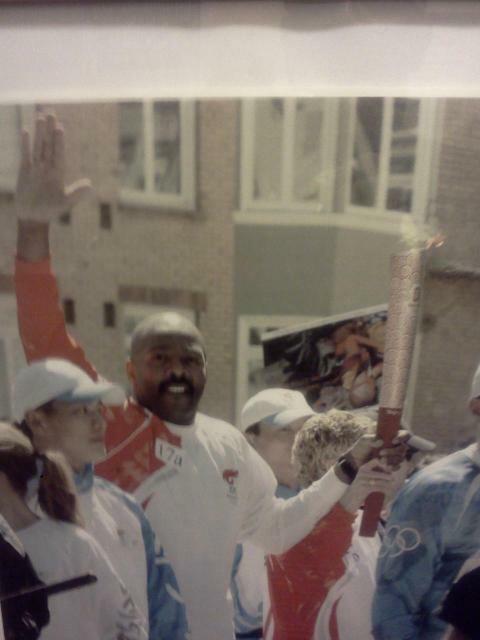 In April of 2008, Coach McDaniels carried the Olympic Torch in San Francisco for the Beijing Olympics. Coach McDaniels currently competes in Master’s 100m Hurdles, long jump and triple jump. At the 2007 Masters’ Nationals in Orono, ME, he achieved the All American record in 100m hurdles in his age group. 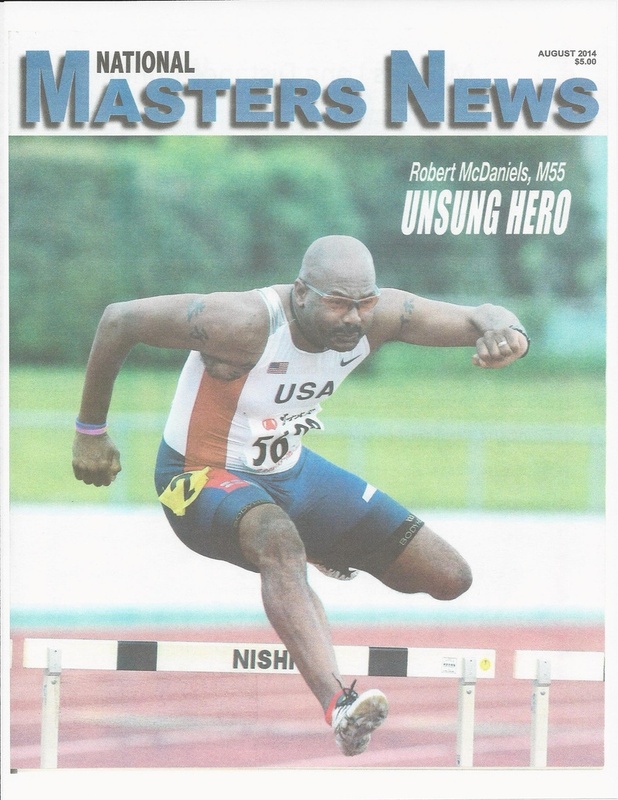 In July 2011, Coach McDaniels competed at the World Masters Athletics in Sacramento, California and is ranked 10th in the world in the 100m hurdles M50-54 division. 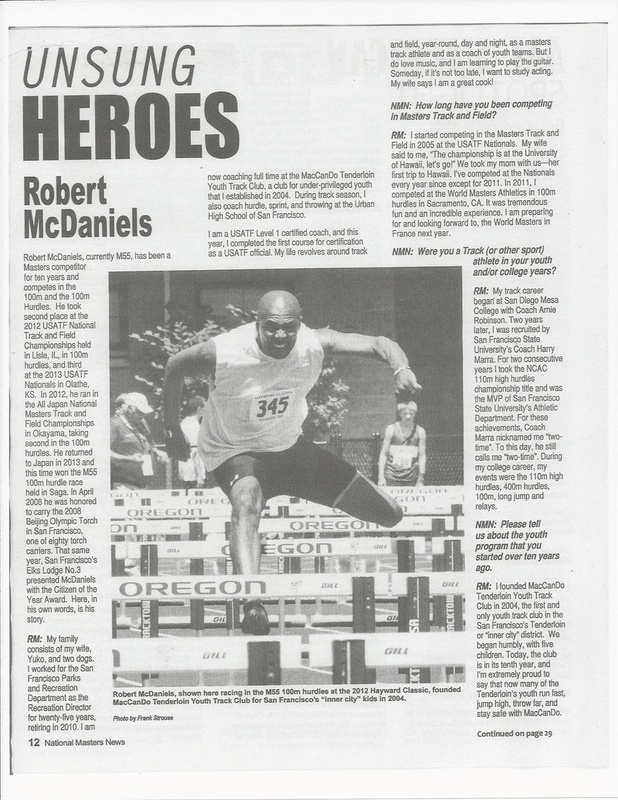 Read all about our Unsung Hero-Coach Robert McDaniels! MacCanDo Tenderloin Youth Track Club is proud to announce that our head coach Robert McDaniels has been selected as one of the five finalists for the "San Francisco 49ers Community Quarterback Award of the Year 2012". Coach Robert was honored for his achievements during a Pre-Game Ceremony on the field during the 49ers game versus the Miami Dolphins on Sunday, December 9, 2012 at Candlestick Park. Coach McDaniels is available for private sessions in sprints, hurdles, jumps, and throwing. His program develops speed, quickness, endurance and strength. For more information regarding programs and fees, please contact Coach Rob directly at (510) 375-2380.